I’ve followed Lucy Knisley’s work since her debut French Milk in 2007. I’ve always found myself kind of connected to her, being that we’re close in age and life milestones. She wrote a book about her wedding not long after I got married, and now she’s published a book on her pregnancy not long after mine. I couldn’t sleep last night so I stayed up into the wee hours reading this beautiful, powerful story. It’s funny, it’s insightful, it’s heartbreaking, and it’s not always for the faint of heart, particularly Lucy’s traumatic birth story. But I still loved every moment of it. 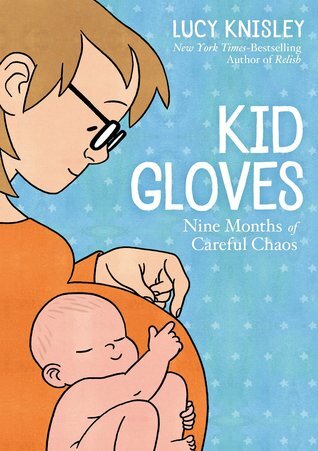 Highly recommended that you check this graphic memoir out, but if you’re pregnant or a new parent, definitely prepare for some tears. Sign into Goodreads to see if any of your friends have read Kid Gloves.